Ever been stuck with a flat tire on a deserted road at night time, when pumping up the manual jack literally made you want to cry because of the effort it took? Forget those old days now! 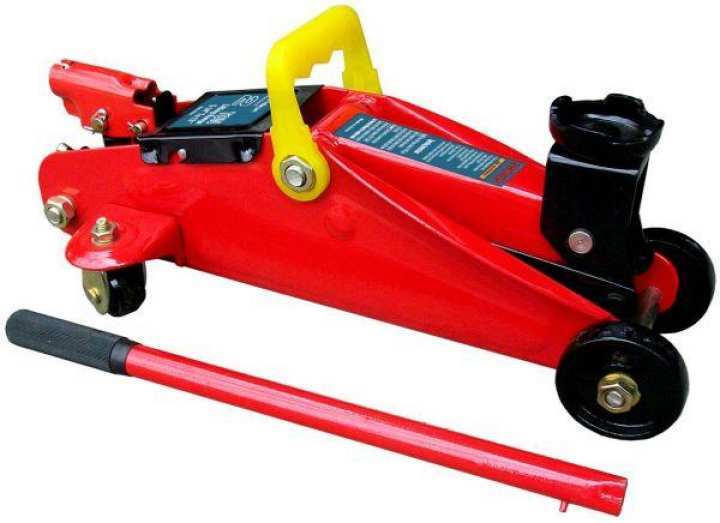 Glide action pressure pump helps in case your vehicles tyre has been punctured and lifts height up to 300mm with different ton lift capacity and takes minimal effort on your part. Its a long term solution with a durable quality material that is oil paint, grease and dirt resistant..
aoa. warrenty of this product? W. Salam. Thanks for the question. No warranty. Its being used for commercial purpose in auto workshops and no complaint yet from day first. Its sale on Daraz is quite high so recommended and we request you plz trust us which is only and best way to make your beleive on daraz.